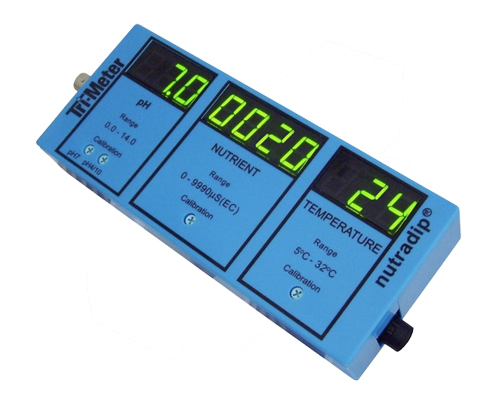 The Nutradip Tri-Meter (CMS) Continuous Monitoring System Meter gives you the ability to monitor pH level, Total Dissolved Solids (TDS) and Temperature all at the same time. 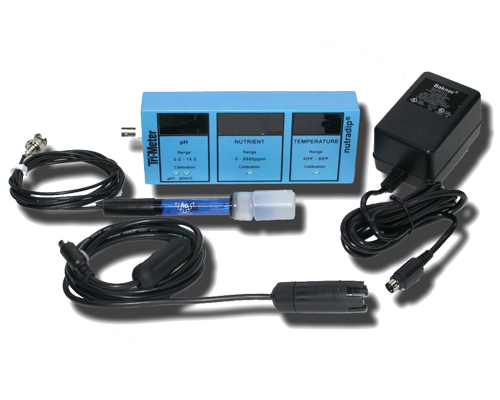 This portable/continuous monitoring system requires no batteries, just plug it in a AC wall receptacle and the meter will remain in a calibrated mode for months. 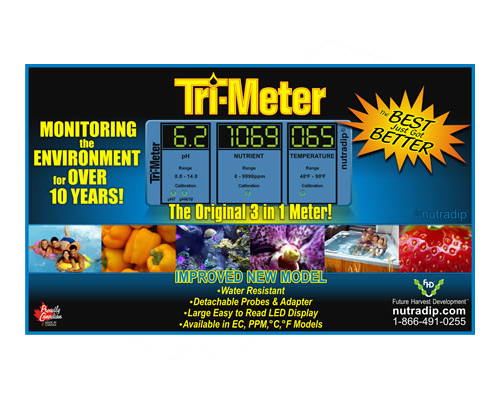 The Nutradip Tri-Meter combines the technology of the pH and TDS meters and addresses an additional key factor in hydroponic growing, the temperature. Temperature in a nutrient solution is often wrongly overlooked. The temperature variance in a growing operation can significantly restrict the growth and yield of the plant(s). With no effort at all, reliable, continuous reading of TDS, pH, and temperature can simultaneously be monitored and correct levels can easily and reliably be maintained.